Mr. Dorcheus has broad experience in E&P upstream and midstream oil & gas, serving top firms in the United States, Middle East and South America including: Conoco-Phillips, Schlumberger, Saudi Aramco, Falcon/Nortex Gas Storage, Maverick Engineering and Amec-Paragon. 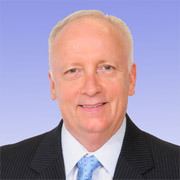 Mr. Dorcheus has expertise in asset and project management, engineering, operations, and planning. Mr. Dorcheus graduated from the University of Houston with a BSc degree in Mechanical Engineering.